The NBA playoffs are upon us, with 16 teams competing for the Larry O’Brien Trophy. But what about the other guys? What about the teams we wish were in the playoffs? We may know, in our heads, that they didn’t do enough to get into the postseason, but that doesn’t change how we feel in our hearts. We’d like to see these teams competing in Bill Simmons’s Entertaining as Hell Tournament, but until that day, we’ll just have to write longingly about why we wish they had made it to the promised land. Sean Fennessey: This isn’t exactly a song for the Blazers because the Blazers were hard to watch this year. Nic Batum was long and lean and aggressively French, J.J. Hickson played like an exploding can of soda, and Weber State’s Damian Lillard was a revelation to those who enjoy tiny-man dunks but don’t much care for consistency. (He is only the Rookie of the Year because Anthony Davis hasn’t totally figured out how to play basketball yet. He will.) I won’t miss those Blazers and I certainly won’t miss their bench, mostly because their bench doesn’t exist beyond the many terrified faces of Meyers Leonard. But I’ll miss LaMarcus Aldridge, a very good player mired in a desperate situation. The ghost of Brandon Roy’s contract haunts this payroll and things won’t get much better for them next season, likely closing the loop on Aldridge’s prime. Aldridge isn’t a thriller, but he shoots it from 18 feet about as well as any big man in the world; with his pterodactyl wingspan, he’s basically unguardable. As he ages, he may become a smarter player with more refined skills. But he’s already a fringe-max guy. Given the current cap structure, maybe the 15th-best player in the league shouldn’t be paid to the ceiling. He’s a perfect no. 2, seeking a superhero to save him. (Fake trade after the Thunder implode in the playoffs: Russ Westbrook and Kendrick Perkins’s odious contract for a re-signed Hickson, Wes Matthews, Lillard, and Portland’s first-round pick this year. Think about it.) 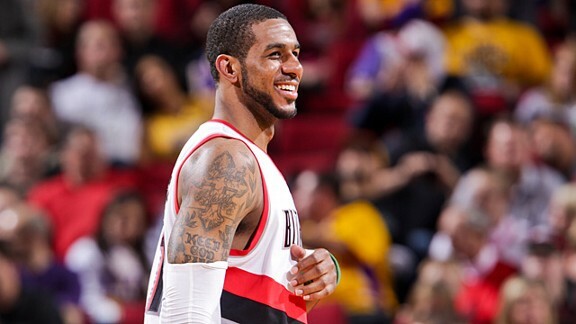 Aldridge may have to wait for a late-career run to the playoffs as a gritty vet off the bench. Or worse, he can stay in Portland forever. Danny Chau: I was 7 years old when Rick Adelman took the reins in Sacramento in 1998. My brother, being a lifelong Vlade Divac follower, claimed the Kings as his team that year. Some of my fondest childhood memories involve me and my brother watching NBA on NBC’s pregame footage of Sacramento, with their cameras zoomed in on the ARCO Arena logo and then cutting to show the droves of fans wildly clanging their cowbells. I’m sure in Sacramento, if you strain hard enough, you can still hear the faint echoes of yesteryear humming along the arena walls. It was a unique energy. It was the spirit of an era. Even in their early years when the chemistry still wasn’t tight, the Kings were dazzling — basketball’s Joga Bonito. Adelman had eight seasons with the Kings and they never missed the playoffs in that span. They’ve been a lottery team in the seven seasons since his departure. In what could be the final home game played in Sacramento, DeMarcus Cousins went rampaging, scoring 36 points and corralling 22 rebounds. Time will tell whether Cousins is the hero Sacramento needs, but for better or worse, he represents the state of Kings basketball. He is the untenable situation. He is the anger and enthusiasm. He is the problem that never seems to go away and the solution that doesn’t quite fix things. He is the hope restored and the hopelessness abound. After a number of Boogie’s made field goals, the Kings broadcast turned their cameras to kids in the crowd — not much younger than I was in ’98 — shaking and hollering at what was probably the greatest offensive performance they’d ever witnessed. It was a lovely sight, but it’s hard not to wonder: What if that’s their last memory of the Sacramento Kings? It would’ve been nice to see the Kings in the playoffs, if only to put all of the politics and legalese on indefinite hiatus. To drown it all in a familiar cacophony. Sacramento and its fans deserve it. They deserve basketball. And basketball deserves more cowbell. FACT: The Dubya Pees went 25-19 from January 7 to April 6. FACT: There is only one team in the National Basketball Association with the following victory-accomplishments this season: swept the Denver Nuggets and beat Miami, OKC, Memphis, Lakers in L.A., Indiana, the Knicks, and Houston. FACT: Bradley Beal had a sustained stretch of quality play sufficient to make the discussion of a midseason Rudy Gay trade a moot point, and was in the running for Rookie of the Year before getting hurt a second time. FACT: Over John Wall’s three seasons, the Wiz have completely rebuilt twice. He just played more than 40 games with the very best players he’s played with in his professional career. FACT: John Wall is two months younger than Damian Lillard. FACT: John Wall and Bradley Beal played together only 25 games; the Almost Bullets won 16 of those. FACT: Only 26 times since 1985 has an NBA player scored at least 47 points with at least eight assists and at least seven rebounds. The players who have done that: LeBron James, Kobe Bryant, Michael Jordan, Larry Bird, Dwyane Wade, Gilbert Arenas, Dale Ellis, Devin Harris, Allen Iverson, Tracy McGrady, Tony Parker, Paul Pierce, and John Wall. FACT: The Almost Bullets finished the season in the top 10 among team defenses. Of course, Nene’s tired feet never healed this season (thanks, Olympics! ), and Beal wasn’t physically ready for a full NBA season, and Emeka Okafor didn’t really have his legs under him until right around Christmas, and Trevor Ariza was hurt three or four times, and Martell Webster took a while to get going … but still, this team could hang with anyone. And the tantalizing, titillating, thrill-pop of what John Wall might be capable of in the playoffs will have to wait. Hopefully just one more year. Ben Detrick: When Rudy Gay was traded from the Memphis Grizzlies to the Toronto Raptors in late January, he became a tetherball in basketball’s pitched battle between gut-trusting dinosaurs and statheads. One side called him a talented perimeter scorer; the other pegged him as an inefficient, cap-smothering albatross. A few weeks after the trade, the Grizzlies unspooled a double-digit win streak with Tayshaun Prince as the new small forward and every question about Rudy’s absence evaporated. Meanwhile, the struggling Toronto franchise looked like a corrupt Canadian slush fund dedicated to sliding piles of loonies into the accounts of Bryan Colangelo recruits like Gay, Andrea Bargnani, DeMar DeRozan, and Landry Fields. But in April, the Raptors finally started paying attention to their SportVU ghost-replicants. After bashing the Celtics (who didn’t care) by 24 points on the last night of the season, the team finished with a five-game winning streak, with every victory coming against a team with a winning record. While an arbitrary accomplishment, the feat was last achieved in 1970-71 by the San Diego Rockets. Leading the way was Gay: In nine April games, he shot 48 percent from the floor and 50 percent from 3-point range, both mammoth jumps over his dismal season averages. Sure, the Raptors are destined for a future of hopeless mediocrity, but a meaningless hot streak and Rudy temporarily earning his paycheck are more compelling than whatever the Milwaukee Bucks have planned for the postseason. Pit them against Memphis and call it a day. Brett Koremenos: Here is a list of the potentially awesome things we miss because the Wolves aren’t in the playoffs. • The tortured relationship Wolves fans have with Derrick Williams coming to light. • A story coming out that Nikola Pekovic’s terrifying tattoo is actually a self-portrait from a past life he vividly remembers. • A Kevin Love 20-30 game. • J.J. Barea losing half of this year’s salary thanks to the playoffs’ harsher punishments for flopping. • Ricky Rubio given more opportunities to tell a teammate to “change his face” on national television. • Alexey Shved becoming wildly overrated because a bunch of his terrible shots drop in one awesome game, causing many to overlook the fact he went 1-42 over the rest of the series. • Some random announcer or studio host giving David Kahn credit for being a good GM. You know it would happen. Chris Ryan: In a way, I’m longing for a team that had no chance to make the playoffs in the first place. That’s because they no longer existed. The 2011-12 Sixers were one of the feel-good stories of last season. They were perceived as a band of brothers, playing for a caring father figure of a coach. Young upstarts like Lou Williams, Lavoy Allen, Jrue Holiday, Evan Turner, and Thad Young, mixed with wise vets like Andre Iguodala and Elton Brand, all under the teary eyes of Doug Collins. This was a team powered by heart. Collins strove to make a connection with these players, and in turn, the team tried to make a connection with its fans. Everything culminated with a memorable 18-point comeback against the Celtics in Game 4 of the Eastern Conference semifinals (a series they would lose in seven games), in front of an adoring, ecstatic home crowd. Something was found that night between the city of Philadelphia and the Sixers. Something that had been lost for a long time. So, naturally, during the offseason, the Sixers got rid of their veteran leadership (Iggy, Brand), allowed Williams to walk, and dealt two promising youngsters (Moe Harkless, who was drafted that summer, and Nik Vucevic), so that they could acquire Andrew Bynum. The idea was to surround Bynum with floor-spacing chuckers, like Nick Young and Dorell Wright (à la the 2008-09 Magic). 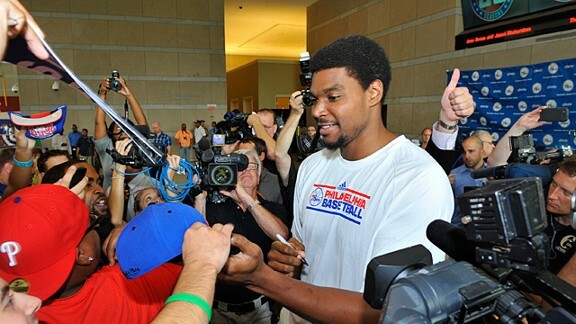 I actually like Bynum. Still do, even as he limps around Philly steakhouses and bowling alleys. But I can’t think of a player who less fit the team ethos Collins had established than him. Even if Bynum had played 60 games, even if the Sixers had won 40 of those games, it’s hard to imagine the 2012-13 team clicking with the city the same way the previous season’s squad had. I would have liked to have had the chance to be proven wrong. The Eastern Conference is starved for big men. A true, inside-out team, with a top-three center, would have been so incongruous, so difficult to match up with in this moment of small ball and stretch 4s, that you never know how far they could have gotten. Now Collins is gone and Bynum is a free agent. Looks like we’ll never know. I would have liked to have seen the 2012-13 Sixers in the playoffs, but the team I really wanted to see was the likely overachieving 2011-12 squad. I liked those guys a lot. They deserved another shot. Robert Mays: When Anderson Varejao was lost for the season in early January, most of my disappointment was in knowing that we wouldn’t get to see what he could mean to a contender come April. 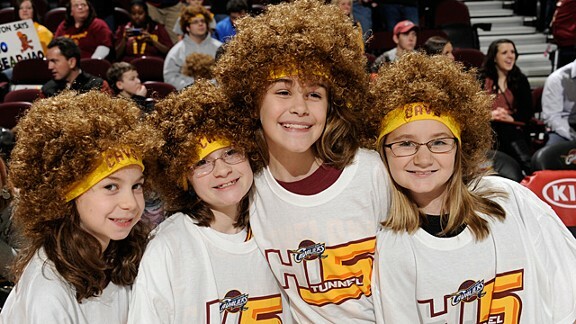 There are plenty of teams that could’ve used a hustle-and-rebound machine for a playoff run, and knowing that Varejao would not only be wasting away on the Cleveland bench but doing so in street clothes was sad news for any fan of his game. The idea of lamenting the absence of a hypothetical non-playoff team from this year’s postseason provides another reason to curse the fate of both Varejao and the Cavs. When Sideshow Bob went down, Kyrie Irving was in the midst of a remarkable second season, but I’d say the corner hadn’t quite been turned. That happened in Houston, when Irving’s showing at the All-Star Game was the only thing worth noting about the weekend. Irving knew he belonged among the best players in the world, and whether it was All-Star Weekend or Team USA practices a year ago, it seems like he embraces the stages he’s given. Watching him and Varejao, with a few more months together, playing when it matters, is something I would’ve liked to see. That and the Cavs inevitably Bud Kilmering Byron Scott. But that goes without saying. The Masked Man: I would like to think that the Mavs would have been great in the playoffs this year. I would like to think they’d be a great no. 1 seed, too, but that’s not the world we live in. I loved this season’s Mavs squad like I’ve loved few others, if only because it was such a spectacular mess. 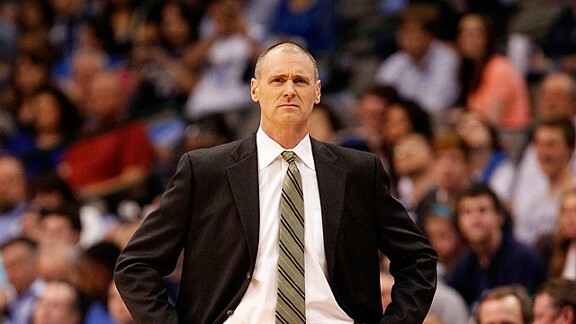 There was so little to like about the team (despite Rick Carlisle’s Herculean effort) that I focused my passion on the individual players, and without Dirk there at the start of the season, I had no frame of reference to compare them to. For a few months, they were all superstars to me: O.J. Mayo, finally living up to his blue-chip pedigree; Elton Brand, the prematurely discarded All-Star; Darren Collison, sleeper All-NBA point guard (yeah, those were a delirious first couple of weeks); and Brandan Wright, positionless and still sporting a 21 PER. I even sent an embarrassing number of excited e-mails during that cough-and-a-half when Eddy Curry was on the team. Mark Cuban and Donnie Nelson did the best they could to cram the season with reaffirming stories to keep our communal spirits high — 28-year-old Air Force veteran Bernard James, multiple sclerosis–afflicted guard Chris Wright, and the specter of potential first-woman-in-the-NBA Brittney Griner. And who could say anything bad about Chris Kaman, because if you can reunite the front court of the German national team in the NBA, I mean, you absolutely have to do it, right? Listen, I’m as big a Mark Cuban supporter as anybody. Every sports fan would want him as the owner of their team. When he made the case for letting his players go after they beat the Heat in the most cosmically perfect NBA Finals in recent memory, I happily went along with him. In the New NBA, the thinking went, teams could afford only two superstars and a bunch of cost-appropriate role players. I think he was wrong in not seeing Chandler as a legit superstar — his defense makes him a top-20 player, and the way he fit so perfectly alongside Dirk should have made him even more valuable — but if Cuban didn’t see that, or wanted to factor in Chandler’s injury history, I’d follow blindly along. The other guys were great, but the logic in letting them go was totally sound — locking them up would have meant that the 2011 squad was your squad for the next five years, and the thought of that sent shivers down my spine. (I think we can all agree that Kidd and Barea are more likely to be cohosting a politics show on CNN in 2015 than they were to be contributing players on the 2015 Mavericks.) And even if Mavs fans had any doubts, the promise of Deron Williams and Dwight Howard in the summer of 2012 made everything magically palatable, like that fourth whiskey when you’re on a bad date — despite the fact that Williams has the offensive game (and ambition [and body]) of a 65-year-old in a pickup game at the Y, and Howard turned out to be so unmotivated the last two years that he made Mavs fans recall Oliver Miller’s work ethic with great fondness. Which is all to say that this year was terrible as a Mavs fan not because we didn’t make the playoffs, but because it was the final verdict on the decision to let the 2011 championship team go — and that verdict was me pounding my head repeatedly on my desk as I’m writing this piece. I don’t know if saying good-bye to Chandler and Kidd and Terry was the wrong decision. Knicks and Celtics fans at bars across New York have graciously spent this season informing me that we made the right call to let them go. And the best rationale for dissolving the team was that, frankly, we weren’t that great to start with. Nobody predicted them to win their first-round series against the Blazers in 2011, or the second round against the Lakers, or the Western Conference finals against the Thunder. They were just a good, beautifully coached team with one transcendent player that hit its stride at the right time. I thought they’d win every round, but I’m a homer. As a homer, sitting here right now, I couldn’t feel worse about the decision-making process that sent the core of that team packing. And I can’t help but think that they’d make some noise in the playoffs this year, if only because they’d be a bunch of overpaid dudes who remember what it’s like to hit your stride at the right time in the playoffs and, you know, be exciting as hell.